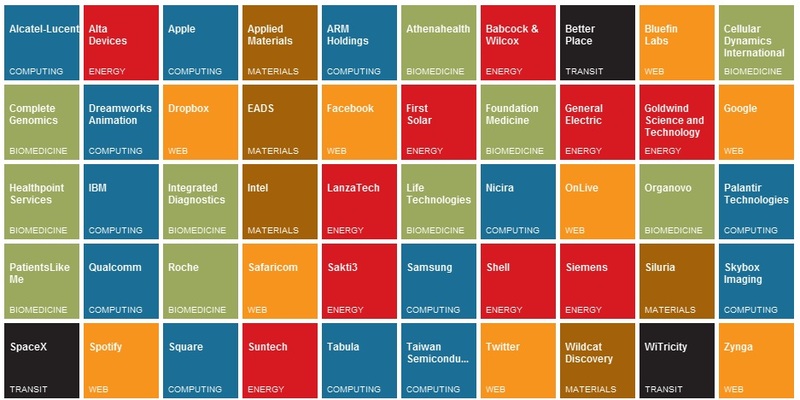 MIT Sloan Management Review just came out with the latest 2012 picks for the world’s most innovative companies. This is a great list which includes 50 very interesting companies (mostly young) in a number of industries. While I enjoyed reading about these innovative companies, I could not help but be once again disappointed with the exclusive focus on product and technology innovators on the list and the lack of Business Model Innovators. Why? I think first and foremost, it is very easy to “see” new products and technologies: when one sees a new iPhone or iPad it is quite easy to tell that this is a new product. On the other hand, new Business Models can be operated by companies for many years before anyone takes notice. Just think about Toyota – for many years US automotive companies did not think it was a threat and they dismissed famed Toyota Production System as a local Japanese phenomenon. Nobody doubts its advantages now. Likewise, Dell revolutionized production of personal computers but it took at least 10-15 years for other computer manufacturers to realize why and start emulating Dell’s production to order system. Second, very often the word “innovation” is associated in the minds of managers with new products and technologies, rather than with new business models. This is the reason we started our blog about business model innovations. Finally, even if one believes in innovations without new products and technologies and somehow “sees” a company doing something differently, I believe managers are generally much more comfortable evaluating new products than new business models, even though, in my experience, new products and technologies are much more likely to fail. Of course, these very facts that make business model innovations less visible, also makes them more of a sustainable competitive advantage! But back to the list which does contain a few Business Model Innovations which I would like to highlight. In the transportation category I was delighted to see Better Place, the company that offers a novel electric vehicle mobility system (don’t confuse it with yet another promise to make batteries last longer! Some other companies on the list try to do that – good luck). We have blogged about them more than once and I have also coauthored a paper and a case about its innovation. Very well-deserved placement! In the energy category I spotted a couple of interesting business models, Siemens receives an award to harnessing tidal wave power. Tidal power is not new, Siemens did not invent this sustainable source of energy but, like many other Renaissance innovators, it recognized that there are huge risks inherent in using solar and wind power to generate electricity: namely, risks involved in whether wind blows and sun shines. Tidal waives, on the other hand, can be predicted centuries in advance which, if predicted and managed properly, dramatically decreases costs of energy. A notable winner in the digital media category is Safaricom, a Kenyan company that provides health-related information to the African population using mobile phones. This is a very important problem: millions of people still die in Africa from such diseases as malaria. At present, only 7,000 doctors serve a nation of 40 million people in Kenya . But Kenya is rich in mobile phones, with 25 million subscribers. The plan is not only to provide information, but also to be able to check serial numbers of medicine to catch fakes and to link population with doctors, who would eventually provide advice for a small fee. A related effort but in the telemedecine category is Healthpoint Services which is using telemedicine techniques to deliver health care to rural India. Another clear business model innovation in the digital media category is Spotify which offers digital music subscription service The key innovation here is that Spotify has negotiated with record labels to allow users access to a large library of music one track at a time. I greatly enjoy this service which, for some time, was only available in Europe. Some other notable companies in this category are Twitter, Facebook and Zynga, all business model innovations. However, the digital media category is the only one with a large number of business model innovations but even this greatly skewed list clearly demonstrates that one does not have to create dramatically new technology or products to innovate and create value. Looking forward to more Business Model Innovators on this list in 2013! I completely agree to what you are saying about benefits of Business Model Innovations. In simple terms it is having long term impact and the only way today to stay apart in fiercely competitive world. In order to get the justification we need to look at the criteria that this survey has fixed to identify innovation as in what amounts to be called Innovative companies. It might have been good coincidence that these firms that you have referred would have achieved good turnover and return from the market with the use of innovative business models. Is there a real need for the product/process/concept ? If yes, how much does it affect the sustainability of our systems in general? Has the innovation happened because the innovating organization just want to be “part of the show” or is it something that they “have it in them (founders/people)”? And finally, does the innovation address a void just by creating another one elsewhere in the system? I find retail an interesting industry, and the flash sales of the same products but utilizing the communication and information technology changes are key. Zulily is the company I am researching, and like Uber, they have capitalized on the model harnessed by technology that Microsoft sells. Using the internet on multiple devices to sell and procure. I am interested in the retail sector and the BMI of Zulily, utilizing like Uber, the sales, and procurement model harnessed by innovations in technology. This is a unique chance to discuss with customers about their business and how to make them more competitive, faster, cheaper etc. This also lifts up the conversation from procurement level to CEO level when bizmodel discussion are happening. BMI is key to differentiate in the market but a quality product is still required. In particular for services type of companies that build on top of other products BMI I the way to go over the competition. Also I see in public sector the innovation be focused more in the business model itself. Threat of substitutes is another advantage of adding BMI as part of the strategy: it takes time for other to copy. Fourth: treat your customer well putting him/her/it on a complete circle of service (end-to-end). Don’t let them ask for anything off your supplying. Great insight on innovations. Cannot agree more with author that many people are looking innovation just in new products and new technologies, simply forgetting Business Model Innovators. I was one of them, this course and article like this is helping to broaden understanding where innovation really happens. I agree with the author. In my opinion the Business Module Innovation it what enable the use of technology. Technology by itself it becoming a commodity nice to have “just a new product”. I agree with the author, business model innovation is more important as to build new products. Technology helps to build up new models, but not more. I absolutely agree with author! But still confused by the fact that innovative approach is based on the change just a business model. Who, then, should develop the technology? It is not necessary for Business, It changed the business model, and that’s all! 🙂 Is a Business a driver of progress or not? I absolutely agree with the author, too! My opinion is that when your business model is innovated, it will bring company’s products and services forward, It is necessary and important to think about business model innovation rather than changing your products. “Innovation” can be many things but the most important thing is “Business model”, sometimes we have the great product but if business model does not align and support we might not reach the goal. And business model innovation will enable and reduce some gap in the organization without investing in the new product lines or technology. I find it very interesting how the concept of business model is so important to create in customers the need to consume the products of a company. I was very impressed the fact the business modeling which can sustainably support outcomes has been overlooked in many times. I could also have a chance to re-think of the concept of BMI enhancing interaction between business and technology fundamentally. Agree. Innovation can help customers realize and understand needs undiscovered.